BANK TRANSFER: we accept international payments via bank transfer. If you choose this method you’ll receive an email with our bank data to proceed at the payment. 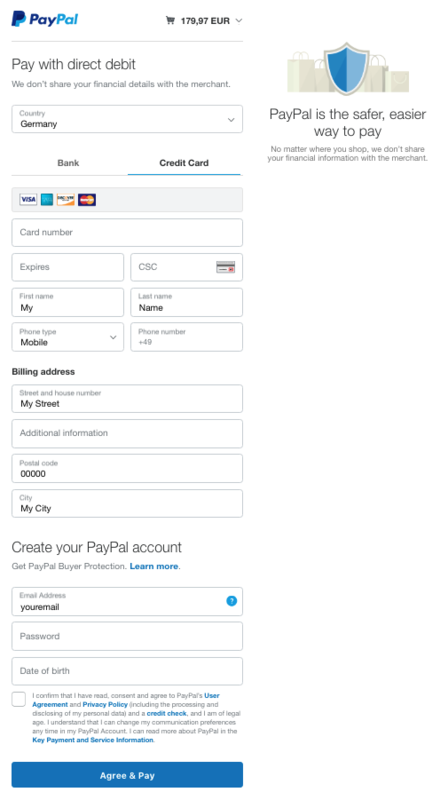 PAYPAL: you can easily pay with your account PayPal. CREDIT CARD: we accept the most common credit card like MasterCard, Maestro, Visa, Visa Electron, American Express, Aura, Discover through PayPal Gateway. 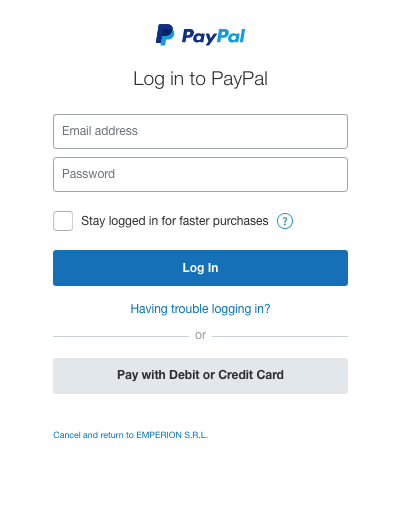 You don’t need to register on PayPal to pay with your Credit Card. Following the steps to pay with Credit Card. According ex art. 49, comma 1, lett. (h) del d.lgs. n. 206/2005 “Codice del Consumo”, the consumer has the right to withdraw purchase of the product / s within the 14 days from receipt of goods to the supplier by sending a written notice by registered letter with acknowledgment of return containing: - The intention to terminate the contract - A description of the product purchased - The date on which the order was made - The particulars of their bank account (IBAN) to allow the supplier a refund of the price purchase. The communication can be sent within the same term to by e-mail. The return of products is done by sending the same, and in original packaging and in original condition within 15 days Working from the date of receipt. The shipping with tracking will be borne by the customer. Within 10 days of receipt of the notification withdrawal and after receiving the package Emperion SRL will refund the full sums paid by you, except costs for shipping and / or any mark on the unwanted material.